Like it or not, construction is well underway at the site of the future Stone Quarry Apartments on South Hill’s Spencer Road. 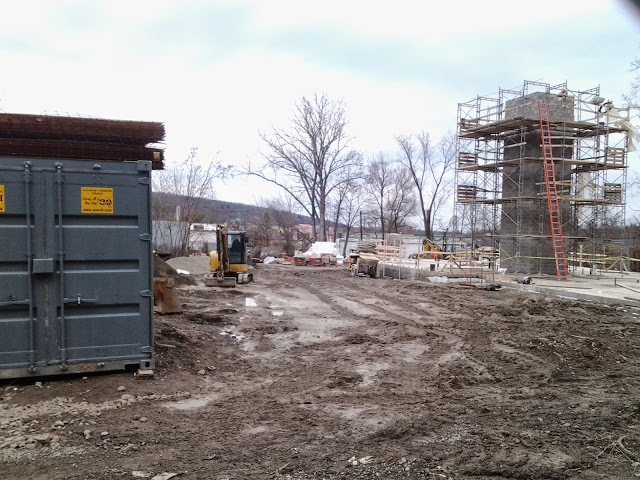 Foundation walls and pilings are visible at the site of the townhomes, and the cinder block wall for the elevator shaft and stairwell of the apartment building is clearly visible from the street. 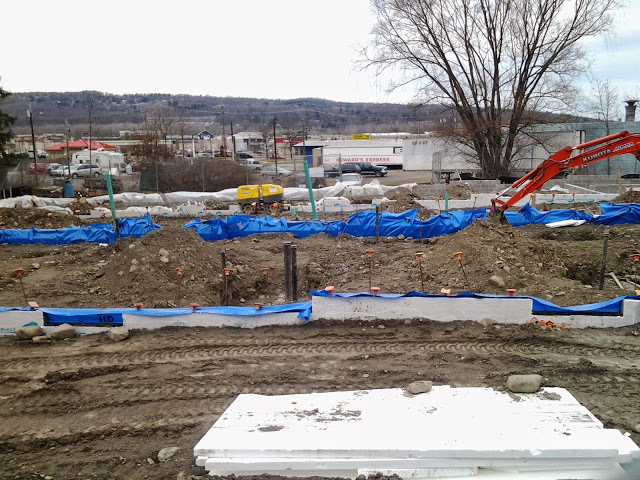 A closer inspection of the apartment building shows that a concrete slab foundation has been poured. 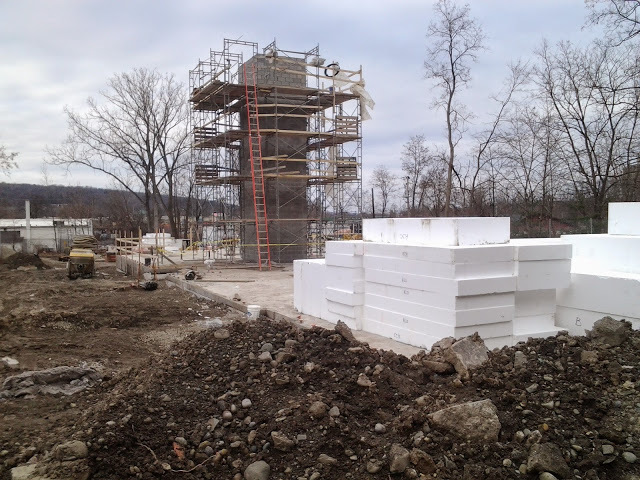 I’m not sure if the white slabs in the last photo are some type of insulated concrete form like the Fox Blocks used at the Thurston Avenue Apartments earlier this year, or something else (Ithaca Builds’ Jason Henderson is far more knowledgeable about these types of things than I am). 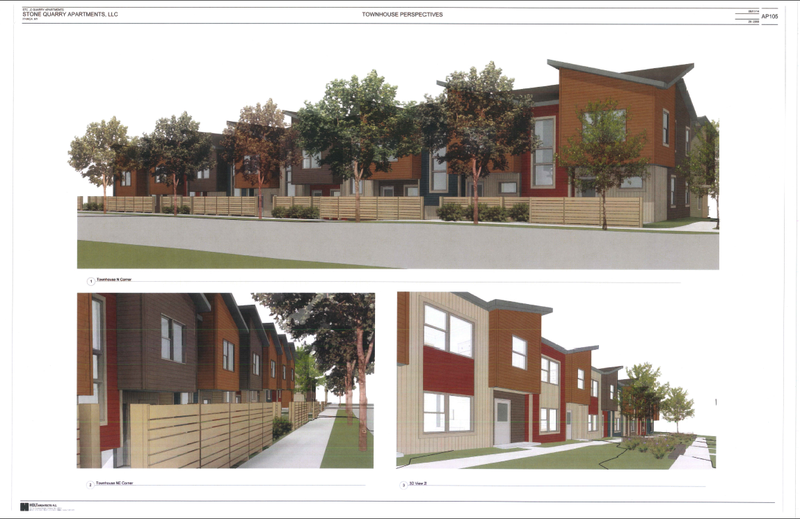 As with all projects by INHS, the units are targeted towards individuals with modest incomes, with rents of $375-$1250/month depending on unit size and resident income. 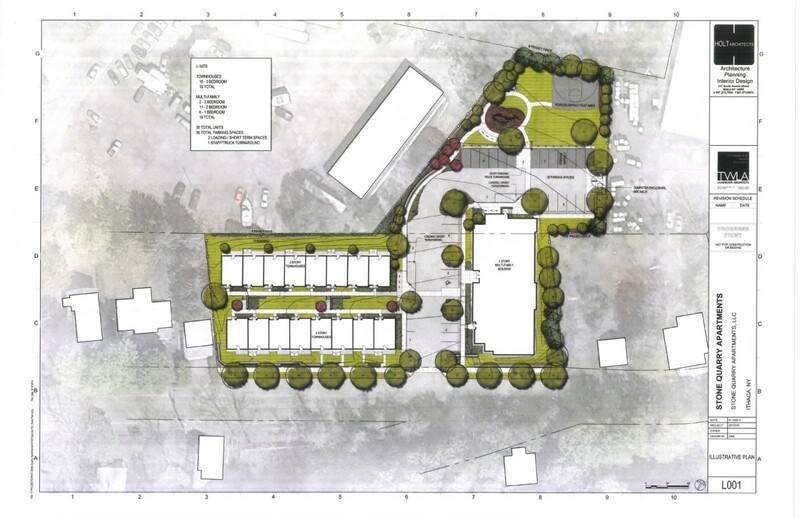 While affordable housing is generally welcome and sorely needed, Stone Quarry had a number of complaints due to size, location and lingering environmental concerns. With a theoretical capacity of 82 residents (assuming one per bedroom), the project is the largest non-student oriented project currently under construction in the city (Lofts @ Six Mile has more units with 45, but with 3 studios, 21 1-bedroom, and 21 2-bedrooms, for a theoretical max of 66 residents). 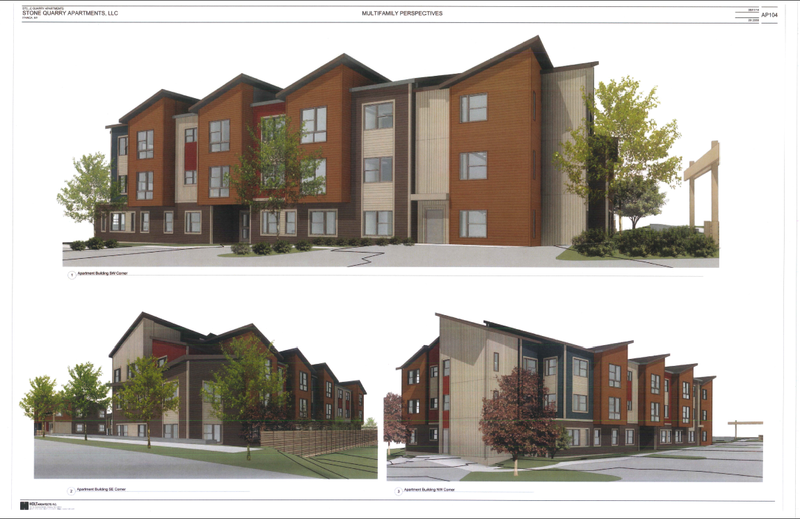 The apartments are expected to be completed in October 2015. The buildout is being handled by LeCesse Construction, a nationwide contractor with an office in suburban Rochester. You must be mistaken. We are aware that concrete can not be placed in the winter. Well, that is what is holding up the Commons project, right? They don’t have many straws left to grasp at this point.